Ventilation hatches are used for daily ventilation into industrial halls, civil construction and commercial buildings, gyms etc. 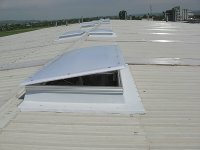 Ventilation hatches can be performed both vertically and horizontally. 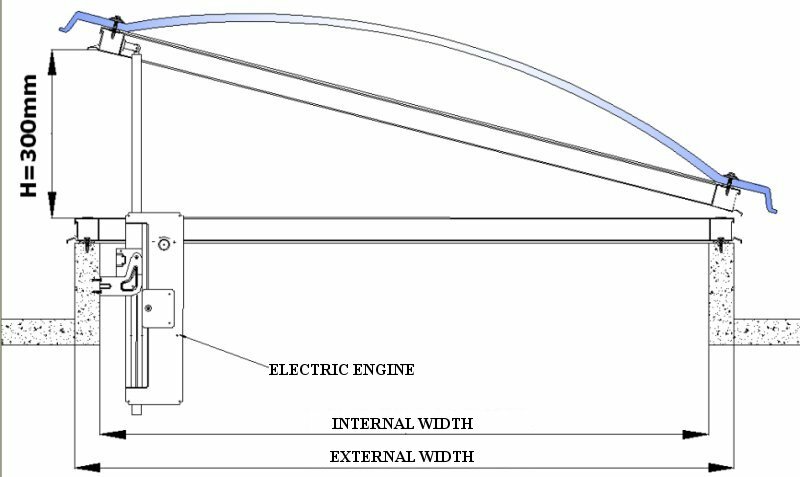 They consist of a fixed frame, a 6060 aluminum mobile frame with built-in drain, and extruded aluminum hinges, which is fixed dome with aperture electric motor that allows a race of 300mm, 500mm and 750mm. The dome can be made from transparent cellular polycarbonate, opal or atermic, 10mm or 16mm thickness, depending on the width of the dome. Ventilation hatches can sit on different bases of settlement. 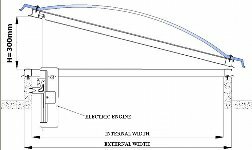 You can download technical specifications PDF for daily ventilation hatches.